If you’re taking a Royal Caribbean cruise from Galveston, then there is a good chance you’ll sail aboard Liberty of the Seas. As the largest ship sailing from the island, Liberty of the Seas is massive: more than 1,000 feet long and totaling 15 decks. Should you sail on her, then you’re likely taking a 7-day cruise to places like Cozumel, Roatan, or Grand Cayman. With any ship there is always some helpful tips and advice that can make your trip go more smoothly, save you money, or have a better vacation. On a ship the size of Liberty of the Seas, there are even more things you should know. Below, we’ve rounded up more than 20 tips and pieces of advice that you’ll want to know before you set sail on the Royal Caribbean ship. Liberty of the Seas boasts several specialty restaurants from Sabor (Mexican food) to Chop’s Grille. Eating at these restaurants isn’t included in your cruise fare; you have to pay a per-person charge to eat there. If you want to save some money, try them out at lunch. Prices are significantly less during lunch — usually about 35% less than what you’ll pay at dinner time. Everyone knows about drink packages, but do you know about drink cards? Royal Caribbean sells 10-drink cards on the ship. For $79 (plus gratuity), you get a punch card good for 10 drinks. You can even share the drinks with others, unlike a drink package. It’s an easy way to save some cash on cocktails without having to commit to a daily drink package. You can read more about the drink card here. It used to be that debarking in Galveston took a long time, no matter when you decided to get off the ship. These days the port has improved the debarkation process to where you can usually get off the ship in about 30 minutes. If you are able to carry all of your luggage, then select the early debarkation option. On a recent cruise we were off the ship, through immigration and walking to our vehicle in just about half an hour. Oddly enough, the busiest area of Liberty of the Seas during the day is the most relaxing at night. Once the sun sets, the crowds leave the pool decks — leaving them wide open for you to enjoy. Yes, you can still hop in a hot tub, but simply grabbing a pool lounger and sitting out and taking in the night breeze is wonderful, especially if you don’t have a balcony cabin of your own. 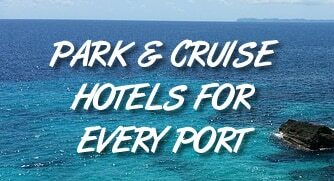 Galveston offers plenty of cheap parking while you cruise, but if you are planning to stay in the area before, then check out hotels with park and cruise packages. In exchange for one night’s stay, you can often park for free. It’s a great deal that can save you some cash on your vacation. You can see Galveston hotels with parking here. Want to order room service? In most cases, it costs $7.95 per delivery. That’s still a good deal considering you can order whatever you want. But if you want free room service, then you should know that the continental breakfast option is free for passengers. Anything more, however, and you’ll get charged the $7.95. If you are traveling with kids, then you’re in luck — kid’s areas are free. If you are traveling with children under 3, then you are still in luck. While the “Royal Babies and Tots” nursery does charge, the fees are minimal. It’s $6 per hour for childcare during normal hours and only $8 per hour during the evening. That’s a fantastic deal for a few hours of relaxation while the little ones play. Liberty of the Seas has several waterslides and the FlowRider on the top of the ship at the back. These are popular places to spend some time and for good reason — they are tons of fun. If you want to avoid lines, check them out early in the morning when they first open. There aren’t as many people around at this time, and at lower latitudes it’s still plenty warm. $17.99 for DayQuil and $5.25 for dental floss. Would you pay $17.99 for a bottle of DayQuil? If you need some on the ship, you might. There are toiletries for sale on Liberty of the Seas, but they are ridiculously expensive. Instead, pack anything you might need or wait until you reach a port of call, which almost always has a small pharmacy for cruise passengers. Unlike most ports, Cozumel has set taxi rates to the majority of tourist spots on the island. The boards are posted near the taxi pick-up areas. Prices are quoted for the entire trip — NOT per person. Be sure to grab a quick snapshot of the sign before you get a cab in case there is any dispute. You can see the current rates here. Playing in a casino is always a losing proposition in the long term, but cruise ships can make it even worse. We’ve found poor payouts across cruise ships, including 6-to-5 payouts on blackjack, compared to the customary 3-to-2. Enjoy the casino and have fun, but know that your payouts may not be that great. The action on Liberty of the Seas is most often around the pool, located on deck 11. If you can score a room on deck 10, then you are a short walk to the pool, as well as the buffet and some specialty restaurants. That’s much easier than waiting on an elevator or climbing flight after flight of stairs. And if you are worried about the noise, don’t be. We have personally stayed on this deck and couldn’t hear a peep above our cabin. Most passengers head to the top decks on Liberty of the Seas to get some fresh air. You can also check out deck 4, which has an outside area that wraps around the ship. Not as many people visit this deck, so it’s usually quiet while giving your a great view of the water while the ship is underway. 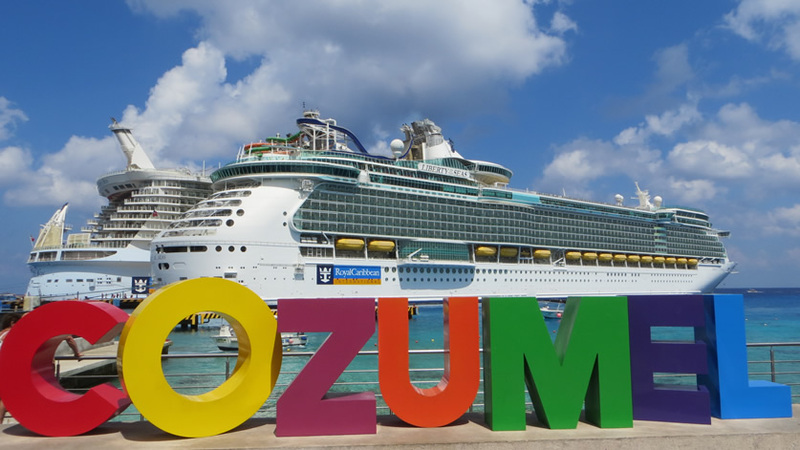 Ports like Cozumel and Costa Maya — often visited by Liberty of the Seas — feature large signs that are perfect for a photo to remember your vacation. Just wait your turn to step in front of the sign and get your snapshot. It’s a free souvenir that you’ll remember forever. One of the most frustrating things about cruise ships, including Liberty of the Seas, is the slow elevators. Most of the time it’s considerably faster just to take the stairs. We know that’s not possible for everyone, but you’ll save a lot of time if you can. Plus, what’s the harm in burning off a few extra buffet calories? Cheap drinks aren’t something that you often find on a cruise, but during special times (usually one hour in the middle of the day), Casino Royale on Liberty of the Seas offers $2 mimosas. If you are looking for a deal on your next drink, it doesn’t get much cheaper than this. But hurry, the drinks are offers for an extremely limited amount of time. Internet can cost $20 per day. Drink packages run about $60. And it can be $30 per person to eat at some specialty restaurants. If you want to save, then look at your Cruise Planner online before you board the ship. There are discounted rates that can save you a considerable chunk of cash versus waiting to pay for these items on the ship. For instance, drink packages were buy one, get one 50% off for Liberty of the Seas. Due to Texas laws, when in the state Liberty of the Seas can serve only alcohol bought from a Texas distributor. The ship offers a limited drink menu when docked in Galveston or in Texas waters. That means you may not be able to get your favorite beverage until a few hours into your trip. Don’t worry though, by the evening of the first night the full bar is open. Just like on land, you can earn points in the casino that can be redeemed. In this case, the points earned on the ship can be used to take off charges from your room bill. So if you buy drinks or Internet service while on the ship, those casino points can be used to reduce the amount that you’ll owe. The redemption starts at 1,000 points, which is worth $20. Hot tubs in the main pool area of Liberty of the Seas can get crowded — especially with kids. Instead, check out the adults-only Solarium. There are two oversized hot tubs that jut out over the water for a great view. Best of all, there are far fewer people in these tubs than in the main ones on the pool deck. It can be tough to keep an eye on your spending while on the cruise, but you can do so from your TV in the stateroom. There is a special menu that will show you all sorts of information, including an itemized bill for everything charged to your account while on the cruise. It’s a bit clunky to access from the TV, but it’s a good way to make sure that you aren’t going over your budget. While on the ship, you will have the chance to buy all sorts of souvenirs and gifts. From t-shirts to jewelry to watches, it’s all there. But before you get too excited, be sure you wait until there is a sale going on. Cruise ships run near-constant sales on these items to get passengers to purchase. If there is something you have your eye on and it’s not on sale, then just wait a day or two to get a deal. Have more tips for sailing aboard Liberty of the Seas? Let us know in the comments below. Thanks! Your advice is handy – we are planning a trip on LOS soon. Glad to hear it. Have an amazing trip! If you want to bring a bottle of water that you’re drinking, we’d think they would let that slide. If you wanted to bring a pack of water, Royal Caribbean doesn’t allow that. They also don’t have a Faster to the Fun type of program. We just got off of Liberty of the Seas out of Galveston. We sailed to Cozumel, Grand Cayman, and Jamaica. I can’t say enough good about the ship, food, and fun! The staff were so helpful and courteous. The nighttime shows were 1st rate quality, and the ship was BEAUTIFUL!!! We want to sail the same ship next time to Roatan, Cozumel, and Costa Maya! Be sure to bring cash, $5’s, $10’s, and $20’s for tipping on excursions! The natives of each port are the SWEETEST!! !